Roasted Winter Vegetable Salad with Maple Balsamic Dressing is an easy side salad or entrée made with thyme roasted vegetables and homemade maple balsamic dressing! What do you make when you run out of ideas for dinner? I roast vegetables and layer them over fresh greens. 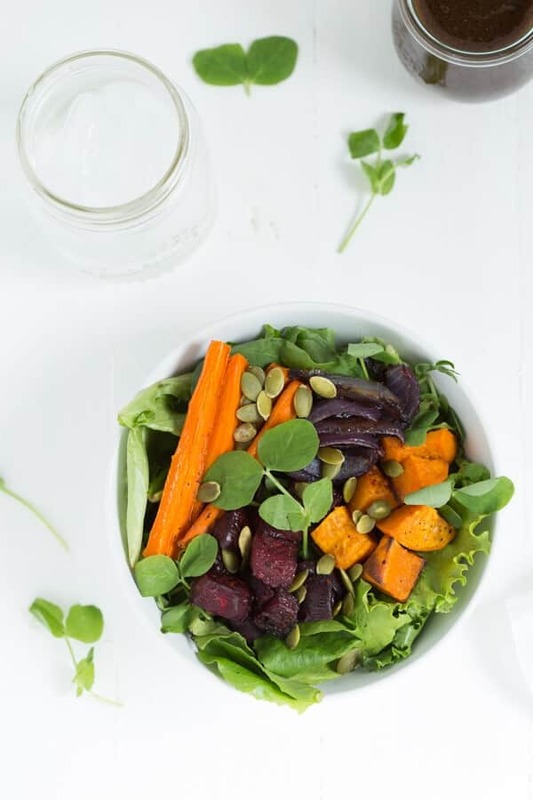 In fact, this Roasted Winter Vegetable Salad with Maple Balsamic Dressing is my go-to salad during the fall and winter months. I always have fresh greens in my fridge and use whatever fresh vegetables I picked up at the farmer’s market. 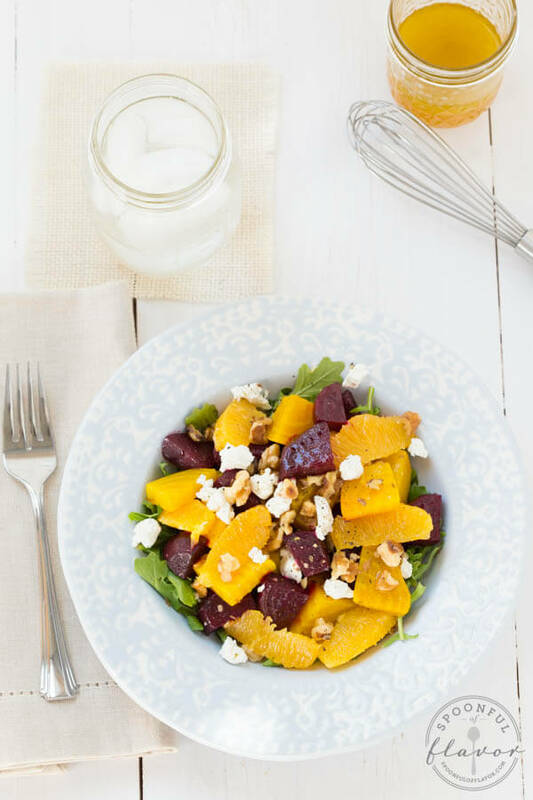 The salad is easy and the dressing is made with ingredients you probably already have in your pantry. I use a few sprigs of fresh thyme from my herb garden and roast the vegetables in my oven with some olive oil and freshly ground black pepper. 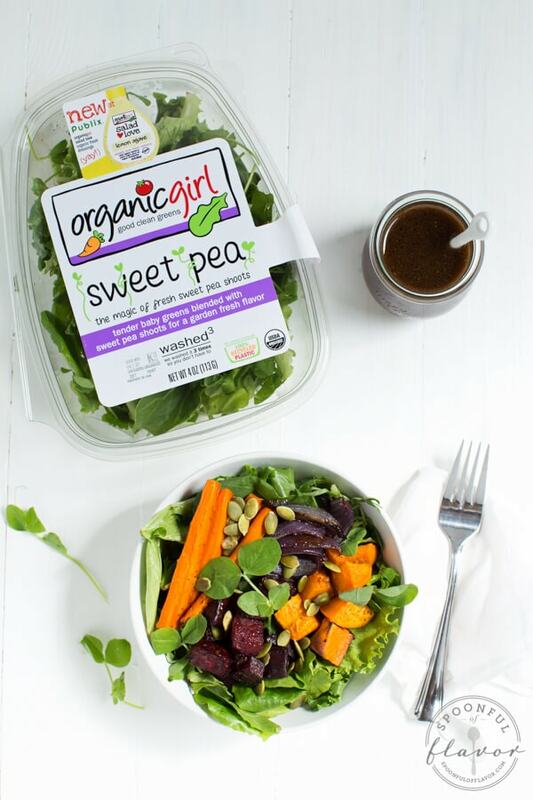 Make sure you enter the giveaway to win a 3-month supply of fresh greens from organicgirl! Scroll down to enter. 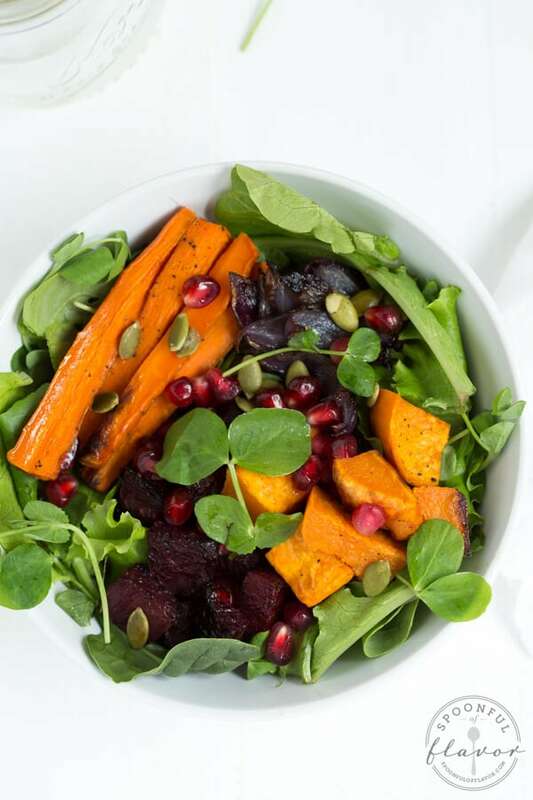 For this recipe I used organicgirl sweet pea blend as the base of the salad, topped it with roasted winter vegetables, pepitas and fresh pomegranate arils. You can use your favorite combination of winter vegetables. I used sweet potato, carrots, red onion and beets. Sometimes I mix it up and add brussels sprouts or butternut squash. 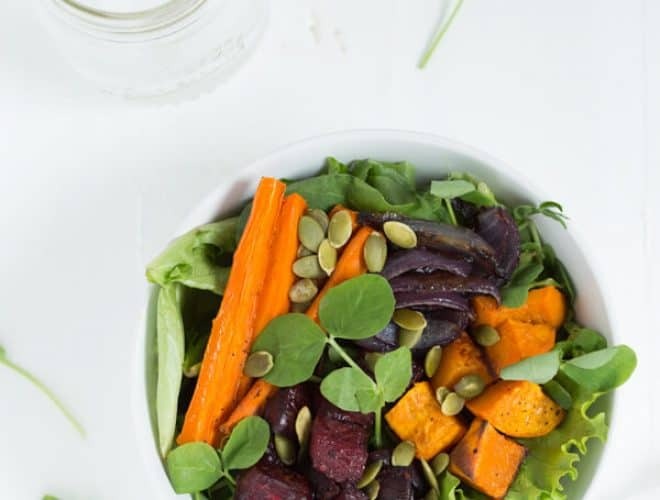 The maple balsamic dressing is quick and easy to make but if you want to save even more time, use one of organicgirl’s new salad dressing flavors. I love the lemon agave with these roasted vegetables. The salad dressing is now available at Publix so make sure to try it with your favorite salad! This year I had the incredible opportunity to team up with one of my favorite brands, organicgirl, for many exciting projects. 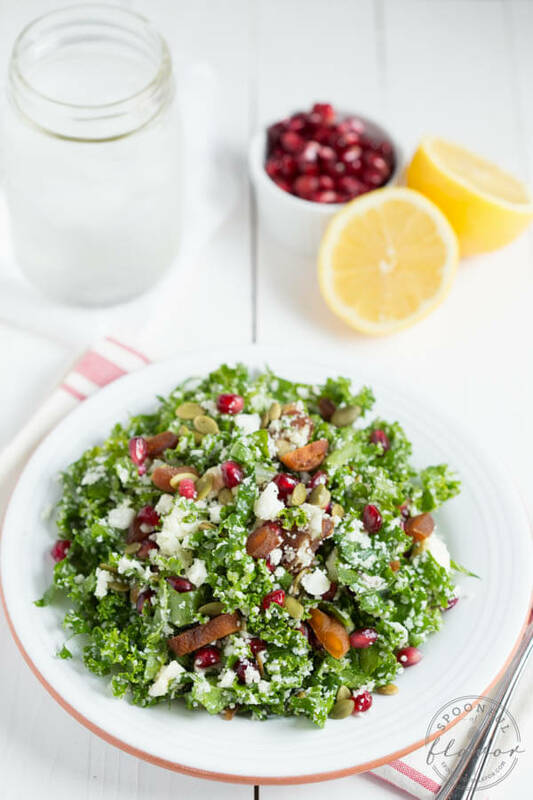 Some of my most popular recipes feature organicgirl good clean greens so I know that you love the greens as much as I do. To share my love for organicgirl with you, I am offering one reader a 3-month supply of organicgirl good clean greens. Use the widget below to enter to win 12 product coupons to purchase sweet pea, supergreens, peppergreens and more. Make sure to sign up for the organicgirl newsletter. 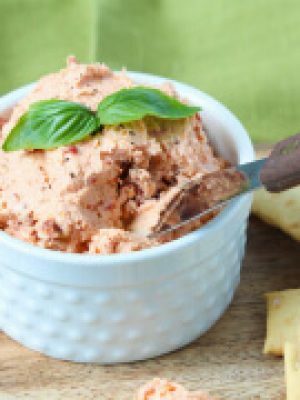 Four of my recipes were featured in their recent holiday promotion and if you sign up to receive their newsletter you will receive special organicgirl recipes too! 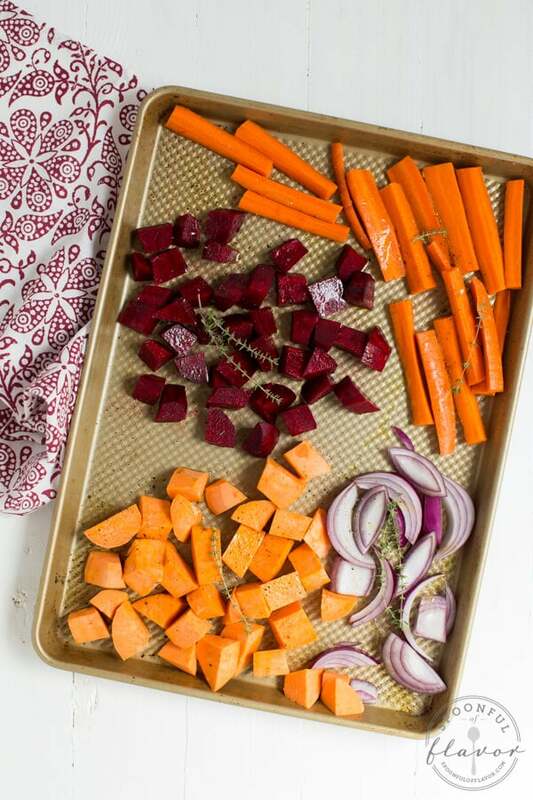 Preheat oven to 400 degrees F. Arrange sweet potato, beets, carrots, and onion on a baking sheet. Drizzle with olive oil and toss. Season with pepper and thyme sprigs. Roast in oven for 25 to 30 minutes, or until tender. Remove from oven. To make the salads, divide the sweet pea greens between 3 or 4 salad bowls. Top each with roasted veggies, pepitas and pomegranate seeds, dividing evenly. 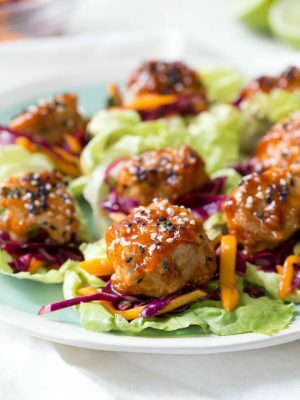 Serve with maple balsamic dressing and enjoy! This is gorgeous! Thanks for linking up with What's Cookin' Wednesday! Maple + balsamic = YES!!! 2 of my absolute favorites, and both wonderful with sweet and savory veggies. You salads are always the prettiest! Mmmm! 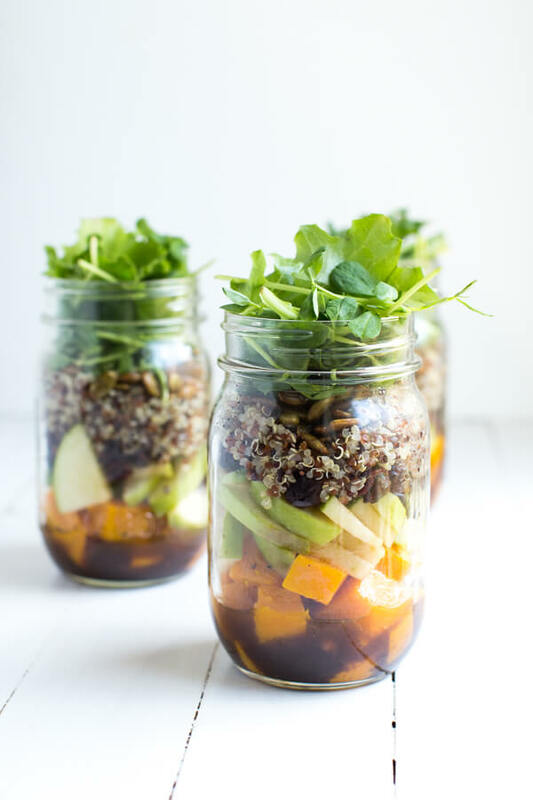 This salad looks like pure fall perfection, Ashley! I love this salad and Organic Girl!! I would love to win the 3-month supply of greens! Wow, awesome post. This is inspiring - eating your veggies like this looks delicious. I eat roasted veggies most nights too during the winter and cold months - they are just so cozy! Love this salad! Roasted veggies are my go-to dinner almost every night too :) The sweet pea blend sounds amazing! This is such a pretty and colorful bowl! And this is exactly what I love to do when I don't really have a plan for dinner. Because you can never go wrong with roasted veggies and salad greens! Love the sweet pea blend! 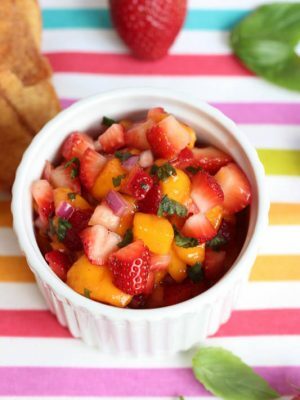 This salad looks fabulous! Yup, I do the same! Roast veggies for a simple salad! This looks delicious!! We love organicgirl at our house too! 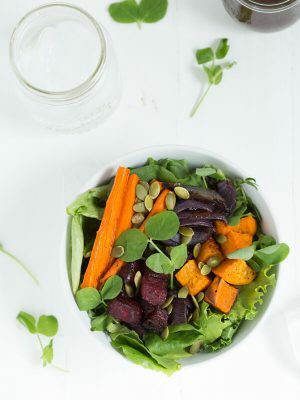 Yum, I love roasted veggies and this is seriously such a good idea for a cold weather salad. I never want to eat salad in the winter because it just seems too cold! But topping it with roasted veggies is the perfect fix. Beautiful! This is a great salad! Winter veggies are simply the best! Roasted veggies are my savior when I run out of dinner ideas! I've never tried them on salad though, must try soon!